I have a problem; I like to eat at a different restaurant in my own home ever night. I go through recipes and cookbooks like it’s my job. Oh, wait, it is kind of my job. Usually I am the internet recipe guru, but lately I have been liking the feel of real pages and hardcovers as I cook. The best meals I have ever eaten have been in people’s homes. Don’t get me wrong, I love eating out, especially when it means that I don’t have to cook. But there is something about a table in someone’s home that sets the stage for conversation and depth that the table in a restaurant can’t provide as easily. The love and time put into making a meal, the vulnerability of opening a home, and the warmth found in setting a hot pot of soup on your table for friends to dig into are the ingredients for a great meal. But sometimes we just need a little inspiration to get in the kitchen after a long day. Here are the cookbooks and guides inspiring me to find my way to the kitchen every day, multiple times a day, to create and spread my table with sweet and savory goodness. It’s All Easy. Delicious Weekday Recipes for the Super-Busy Home Cook. by Gwyneth Paltrow with Thea Baumann. Literally this cookbook has changed my life. I have made over 25 recipes from it in the last three weeks. 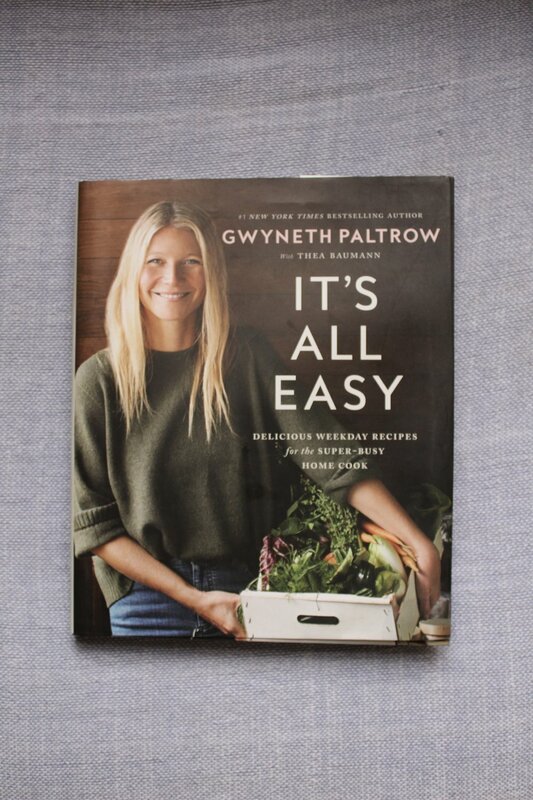 I mean who doesn’t want easy, healthy, and delicious? I get lost if there are lots of ingredients and pages of instructions. Almost all the recipes in this book are 30 minutes of prep time or less, under 10 ingredients, and will make your family never want to eat out again. Some of my favorite recipes include the Acai bowls, the almond orange overnight oats, noodle pots (great for lunch on the go), the carbonara, the roasted tikka masala chicken served with the curried cauliflower, the tabbouleh, falafel, zucchini and leek soup, crispy potatoes with lemon and parsley (I add parmesan to mine), and the best recipe is the Zuni sheet pan chicken (I leave out the anchovies). This cookbook is great for gluten-free as well as dairy-free families. Recipe from It's All Easy. The Pioneer Woman Cooks. Food from my Frontier. This cookbook is a little less healthy, but so good and still easy. The style is family-oriented with recipes for larger groups. I know this book has been around for a long time, but what cook has pictures to accompany every step in the recipe? For a visual learner like myself this cookbook welcomes me with open arms. Ree’s recipes have opened my mind to food I can prepare in my own kitchen that I may not have considered before, like donuts, pie crust, pizza dough, gazpacho, salsa, hummus, hot wings, chicken parmesan, and strawberry shortcake. Nothing in this book is real fancy or complicated and most of the ingredients you would have on hand. Recipe from Pioneer Woman Cooks. Bread & Wine. A Love Letter to Life Around the Table with Recipes. Another book that isn’t new, but I found so much inspiration for the kitchen in Shauna’s writings. Her recipes are mixed in with stories from Shauna’s life about finding community and communion around the table. The recipes are simple; a mix of healthy comfort recipes. The book to me is a simple remind of why the table is important. Each story closes with a recipe that makes you want to go prepare a meal immediately or invite a few friends around for a glass of wine and cheese. Bacon wrapped dates. Goat cheese scrambled eggs. Bread. White bean soup. The recipes are great for a gluten-free family, but more than that the stories will call you back to the table again and again. Come on. Doesn’t that make you want to jump up right now and start dicing? Recipe from Bread & Wine. This book a little more like a reference book that you keep on referencing for specific techniques. It’s not the book you flip through when you are trying to figure out what to make for dinner. There are no pictures, few words, just a guide back to the traditions of cultured and fermented foods that are essential to our diet. Plus the basics of sauces, soups and sprouting from scratch. There is a great section on baking with alternative grains that is awesome for gluten-free families as well as a desserts section that uses alternative sweeteners such as honey, maple syrup and date sugar. I love how the yogurt recipe starts: “Yogurt is easy to make— neither a yogurt-maker nor a special culture is necessary.” Amen to that. This book is a creative guide, not a cookbook. I don’t think there are actually any recipes in this book, which at first was a little disappointing to me. But then I realized it was the essential book to helping me create and experiment on my own in the kitchen. 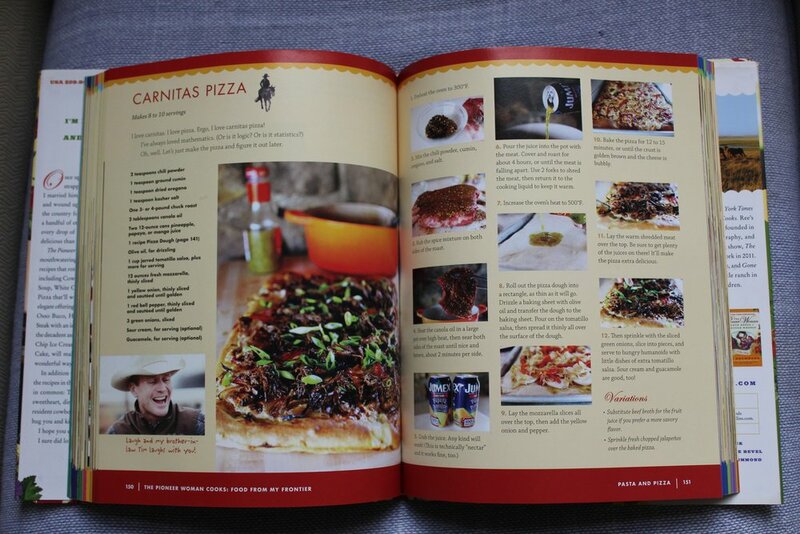 The first 40 pages of the book are an inspiration for flavor from some of America’s top chefs. The next 300 pages are literally a library of what food, in alphabetical order, goes with what flavors. For example, I was making zucchini soup the other night and I wanted to add more flavor. I looked up zucchini: Season: Spring - Summer. Taste: sweet, astringent. Function: cooling. Then there was a list of everything, spice, cheese, vegetable, and meat that pair well with zucchini. I was looking for a spice. I scanned the list for what my soup needed: chives, cilantro, coriander, curry leaf, dill. Dill. Dill was what my soup needed. That’s my list. It’s 6pm and I haven’t made dinner. I just called the Chinese restaurant for take away and they are closed. Sometimes we head to the kitchen out of inspiration and sometimes out of need. I am heading to kitchen now because I need to feed my family, but I will let one of these cookbooks lead the way tonight. Older PostWhy I loved wearing my grandmother's wedding dress.